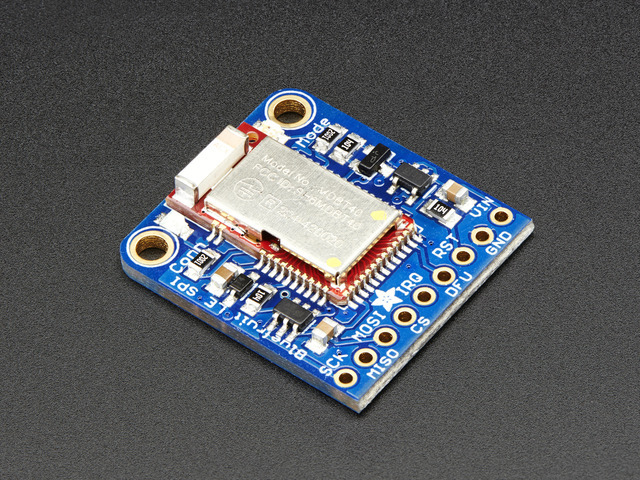 Changes the baud rate used by the HW UART peripheral on the nRF51822. Note that we do not recommend using higher baudrates than 9600 because the nRF51 UART can drop characters! Gets the temperature in degree celcius of the BLE module's die. This can be used for debug purposes (higher die temperature generally means higher current consumption), but does not corresponds to ambient temperature and can nto be used as a replacement for a normal temperature sensor. Gets or sets the value of the specified GPIO pin (depending on the pin's mode). Parameters: The parameters for this command change depending on the pin mode. INPUT MODE: To read the current state of an input pin or a pin that has been configured as an output, enter the pin number as a single parameter. Trying to set the value of a pin that has not been configured as an output will produce an 'ERROR' response. Some pins are reserved for specific functions on Bluefruit modules and can not be used as GPIO. If you try to make use of a reserved pin number an 'ERROR' response will be generated. This will set the mode for the specified GPIO pin (input, output, etc.). Output: If a single parameters is passed (the GPIO pin number) the current pin mode will be returned. Scans the I2C bus to try to detect any connected I2C devices, and returns the address of devices that were found during the scan process. Output: A comma-separated list of any I2C address that were found while scanning the valid address range on the I2C bus, or nothing is no devices were found. Generates a random 32-bit number using the HW random number generator on the nRF51822 (based on white noise). Allows you to override the default behaviour of the MODE led (which indicates the operating mode by default). manual or MANUAL or 5 - Manually sets the state of the MODE LED via a second comma-separated parameter, which can be on, off, or toggle. Enables or disable hardware flow control (CTS + RTS) on the UART peripheral block of the nRF51822. Output: If run with no parameters, returns a number representing whether flow control is enabled (1) or disabled (0). This guide was first published on Jul 07, 2015. It was last updated on Jul 07, 2015. This page (Hardware) was last updated on Apr 21, 2019.